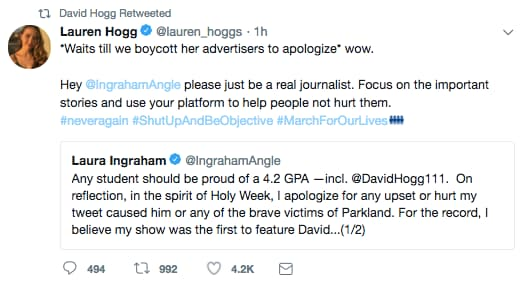 David Hogg does not appear to accept Laura Ingraham’s apology. 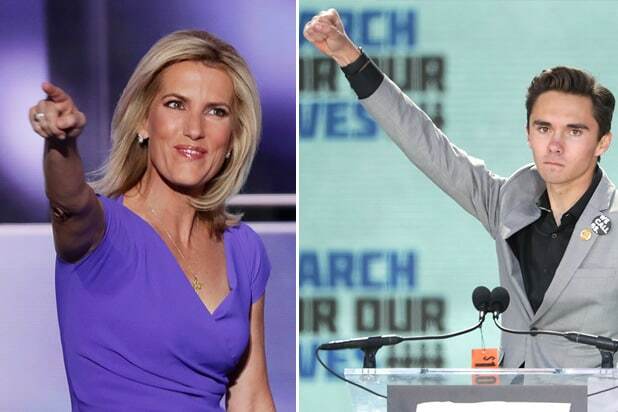 The vocal Parkland shooting survivor is now urging his 600,000+ followers to target an expanded list of more than 100 sponsors who currently advertise on Ingraham’s primetime Fox News program. The list — featuring more than 100 brand names, including fast food chain Arby’s, Cars.com, DirecTV, Duracell and Subaru — was compiled by Media Matters for America. 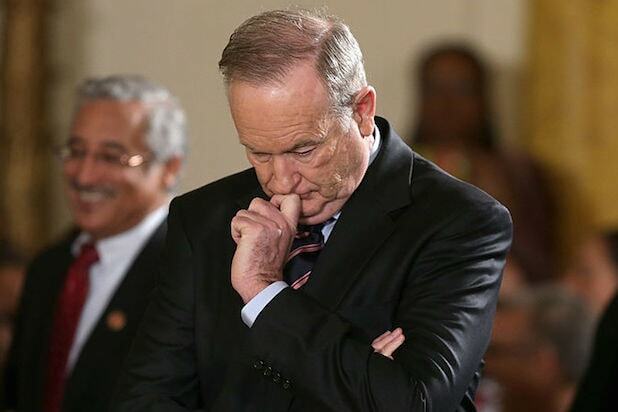 The liberal watchdog group has spearheaded many of the most biting advertiser boycotts against Fox News over the years, including the campaign that ultimately felled Bill O’Reilly. As of 5:25 p.m. ET/2:25 PT Thursday, Ingraham had been dropped by TripAdvisor, Nestle, Expedia, Wayfair and the pet-foods company Nutrish. Four of those five company’s were on a list tweeted by Parkland shooting survivor David Hogg late Wednesday evening, who urged a consumer uprising. The tweet remains live on her Twitter page. Reps for Fox News did not respond to multiple requests for comment Thursday about the tweet. Ingraham too was silent at first, but issued a full apology Thursday as the first advertisers began to flee.